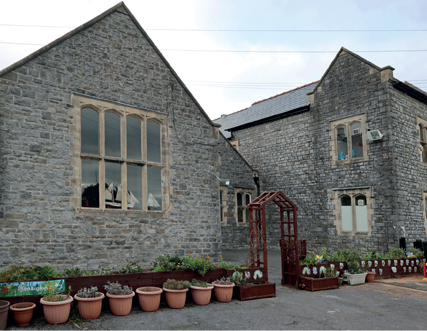 The Old School is owned by the Llantwit Major Town Council. The house was built in the 1450’s by John Raglan (Herbert) and was later occupied by Robert Raglan. The Raglans controlled many local offices as stewards and chantry priests. In the 17th century it became a vicarage for Stephen Slugg the notorious ‘Trimmer’ of the civil war period. It became a board school providing elementary education from 1874-1975. 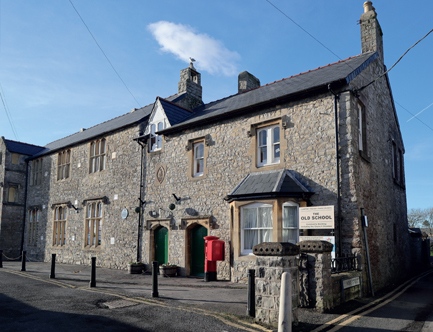 Permanent facilities provided for at the Old School are the: Council Chamber, Welsh Scouts Offices, Cylch Meithrin Nursery, Gillybeans Playgroup and the History Society. There are table and chairs available, a small kitchen and downstairs toilets. The room will seat a maximum of 30. The Old School Room B is normally available for use between the hours of 9am and 10pm Monday through to Sunday. The facility will be closed on Bank Holidays. The Hirer should not be under the age of 18 years old. The Hirer can book Room B for sessions of 3 hours a time. Sessions are available in the Morning, Afternoon and Evening. A Session in Room B is £17.00 per session. 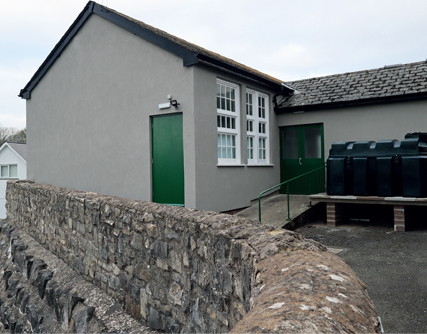 A separate pre-fabricated building located behind the Old School. The Compass Building has two Meeting Rooms (Room 1, includes table and chairs) and Room 2 , empty space no table and chairs). Both rooms have use of a kitchen and toilet facilities. Rooms are on the ground floor and have disabled access. Both rooms are suitable for educational, exercise classes, clubs and meetings. Room 1 and 2 will each hold a maximum of 30 people per room. The Compass Building is normally available for use between the hours of 9am and 10pm Monday through to Sunday. The facility will be closed on Bank Holidays. The Hirer should not be under the age of 18 years old. 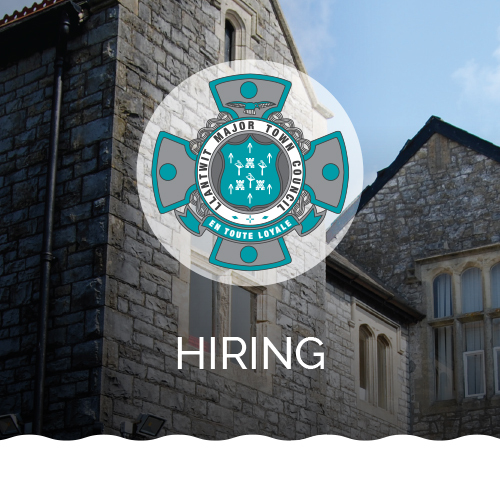 The Hirer can book The Compass Building for sessions of 3 hours a time. Sessions are available in the Morning, Afternoon and Evening. A Session for the whole Compass Building is £35.00 per session. The Hirer can also book Room 1 or 2 separately for sessions of 3 hours a time. Sessions are available in the Morning, Afternoon and Evening. A Session for either Room 1 or Room 2 is £20.00 per session.